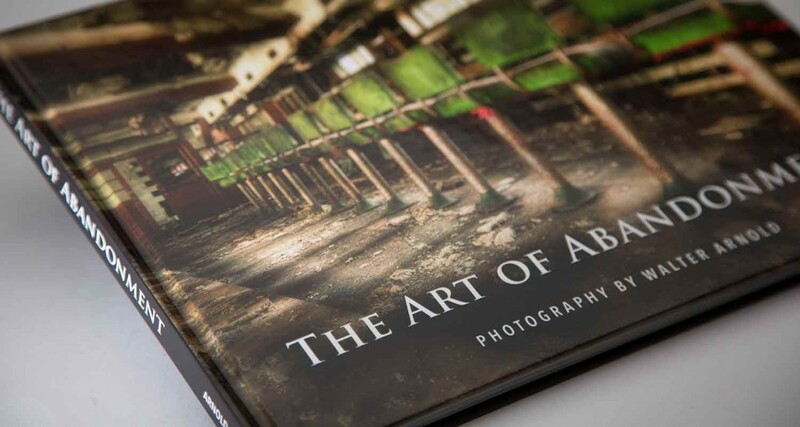 Art of Abandonment Photo-Book Has Arrived! 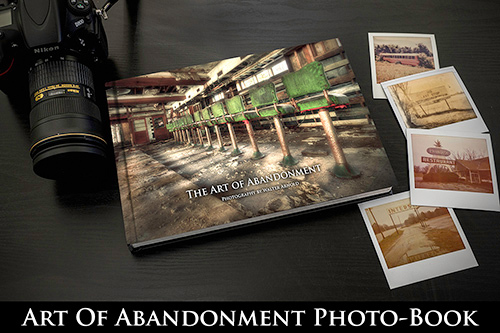 The Art of Abandonment photo-book is a 128 page hardcover book, which contains images and historic write ups from 15 abandoned historic locations across the country. 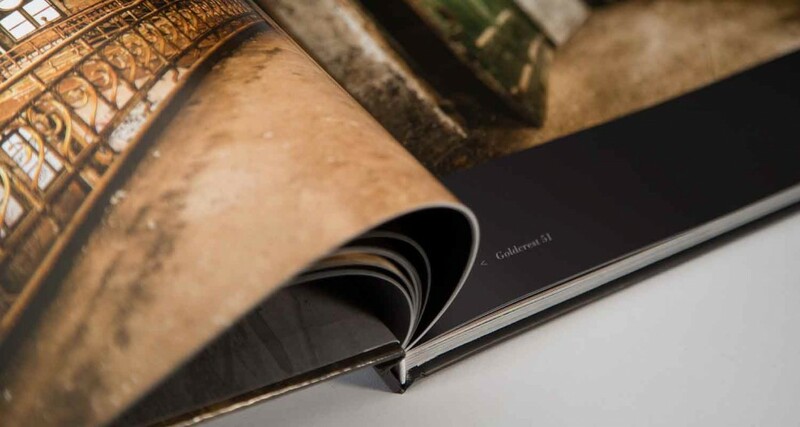 All copies of the book are signed. If you would like a personalized signature please include the name of the person to whom it should be signed in the “Note to Seller” section at checkout. 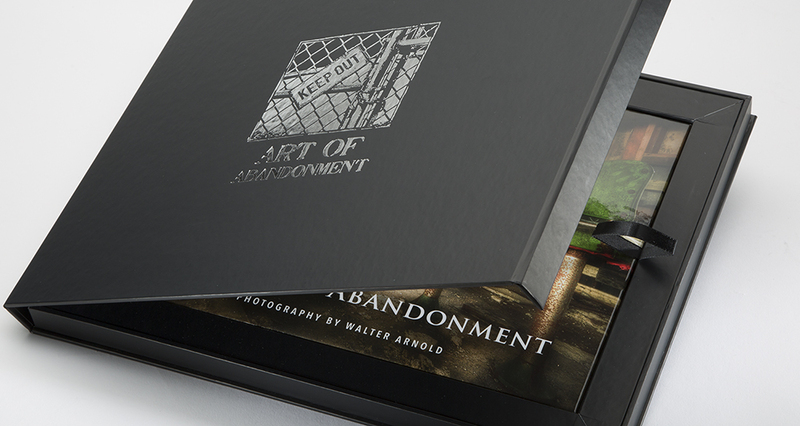 The Collector’s Edition includes a signed copy of the book in a custom designed clam-shell case with the Art of Abandonment logo embossed in silver on the front. Hello Walter, I recently had the opportunity to see your artwork for the first time at Festive in the Park Charlotte NC. I was astonished by your work and picked up a brochure. If I had more wall space I would have definitely purchased a piece of your art. That being said, the book purchased is that a personal autographed copy? Can you please tell me if this is the book with the Scranton Lace Company photos? I saw you at an art fair in the Chicago area last summer (I believe) and admired the book. If this is the same book, I’m going to order a copy now. However, I would like to be sure of that. It was a gorgeous collection. Thank you. Marianne this is the same book! I was at the Highlands Park show last year (and will be back this year!) 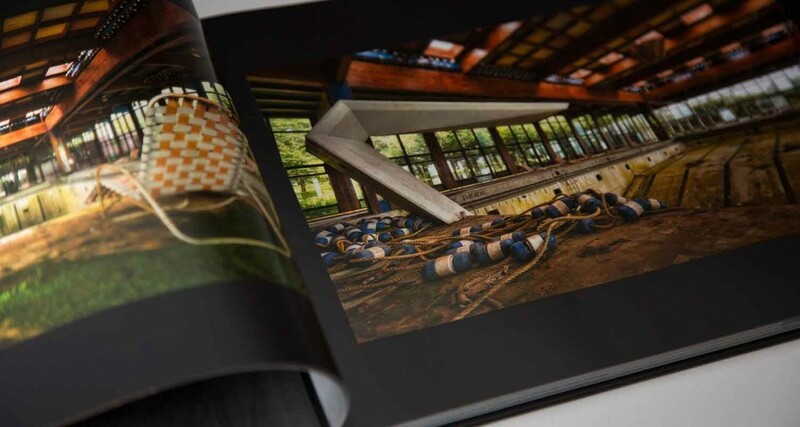 You can order the book now at http://www.AoABook.com 🙂 Thank you! There is an abandoned airfield near downtown Dallas that has an aircraft factory that made WW2 aircraft like the P51 Mustang and the F4 Corsair. The factory just recently shut its doors. It might make for a cool location. It is the old NAS Dallas. Hensley Field it’s name was changed to millenium airfield but never reopened.